Russia has had it's first IPO of a commercial bank, and the experience has set a good example for future offerings. After a weak start to the year, Russia’s pipeline of IPOs is filling up fast, and portfolio investment is flooding into the country. 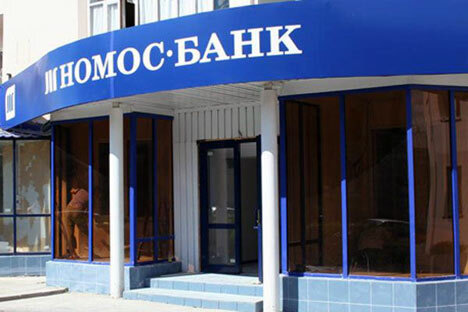 In the middle of April, Nomos Bank broke new ground by pulling off the first-ever IPO of a privately owned Russian commercial bank. One of the largest banks in Russia, Nomos floated 22 percent of its shares near the top of its price range to raise $718 million on the London Stock Exchange. The money will be used to recapitalize the bank, which was low on funds after it took over Khanty-Mansiysk Bank (KhMB) in December. The Nomos IPO is good news on several fronts. The first is that it happened at all. Five Russian companies tried to sell shares in February, but the owners overreached themselves on pricing. Only a secondary share offering from state-owned banking giant VTB Bank and a small $16 million IPO in Frankfurt by pizza chain Papa John’s got out of the gate. After a record $54 billion of listings in the first half of 2008, the last two years saw 22 IPOs that raised a mere $12 billion. The pent-up demand among owners for IPOs is rising fast, but hasn’t been matched by demand from international investors until now. Analysts say there is already at least $50 billion worth of IPOs likely to go in the next two years. The Nomos IPO bodes well for these upcoming IPOs; although the stock was priced near the top of the price range, that range was low. The IPO price values the bank at $3.2 billion or 1.5 times book, which is much more modest than the 3 times book banks were charging prior to the crisis. Pre-crisis, most of Russia’s IPOs were priced for very fast growth. In other words, they were expensive and almost all of them underperformed following their float (with a few notable exceptions). “The lesson from badly performing IPOs is that the price is not right. However, like any other stock, it is caveat emptor and investors should do their homework,” said Alexander Krapivko, head of equity trading at Renaissance Capital. The success of the Nomos IPO also highlights the growing attractiveness of Russian shares. After being the ugly duckling of emerging markets a year ago, since the start of 2011 Russia has become increasingly popular among investors. It is the only one of the BRIC countries to see a net inflow of portfolio investment since January. Moreover, the fast-growing banking sector remains a favorite among investors and has been one of the first to recover from the 2008 crisis. There are four publicly traded Russian banks: the two state-owned mega-chips Sberbank and VTB Bank, which together make up well over half of entire Russian banking sector by assets; and the two micro-chips Bank Vozrozhdenie and Bank St. Petersburg, neither of which formally IPO’d and have a combined traded liquidity of $300 million. Nomos’ IPO is a welcome addition in the middle, with a tradeable $700 million of shares. Investors were asking for a discount because Nomos is more of a classic financial-industrial group (FIG) bank, which dominated the business in the 1990s, than the traditional universal bank. Nomos makes most of its money from corporate banking thanks to its large exposure to its parent, St. Petersburg-based IST group, which has big holdings in gold mining, shipping and engineering. However, most successful banks in Russia have grown up due to the support of a related industrial group and it is a common strategy: The commercial banks are allied to an industrial group, which they use as a platform to build out a more diversified business. And in Nomos’ case it has been very a profitable business indeed: Nomos had a 18-20 percent return on equity in 2010 against sector averages on the order of three to five percent.